Ready, set, go! It’s time to cook again and all you need is 20 minutes. Trust me, it’s that easy! 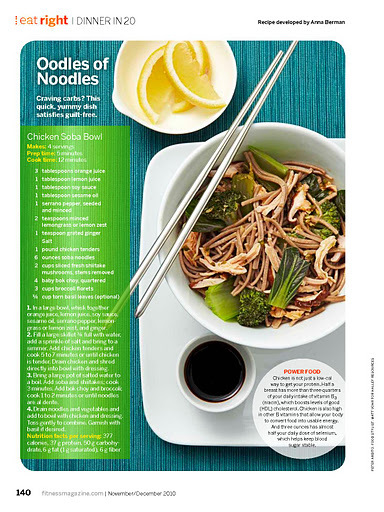 This is my 2nd time developing a recipe for Fitness Magazine. First time I felt lucky and surprised (do you remember the Grilled Curried Shrimp with Mango Couscous?). The second time I was contacted by Fitness Magazine I felt proud – someone must’ve liked what I did. Secret ingredient for this recipe? It’s all about chicken! Tender and flavorful, the chicken tenders take a very short time to cook. Give it a try! cute name and they made your dish look so pretty!! !